HomePoliticsIt’s Not Just Trump in House Democrats’ Cross Hairs. His Family Is, Too. November 25, 2018 Politics Comments Off on It’s Not Just Trump in House Democrats’ Cross Hairs. His Family Is, Too. Mr. Trump has told aides that he believes that Democrats have the potential to appear overly partisan in investigating his family and that voters may be sympathetic to efforts to rebuff them. Thomas M. Reynolds, a former congressman who was the chairman of the National Republican Congressional Committee in 2006, agreed that the incoming House majority would be wise not to meddle excessively in the private affairs of the president’s business and two adult sons. Congressional inquiries are treacherous, and can be hard to weather. The president is said to be unprepared for the onslaught he is facing, even as the White House counsel’s office, which will be led by a new lead counsel, Pat Cipollone, is hiring a raft of lawyers. Ms. Trump and her husband, Mr. Kushner, have had a veteran Washington lawyer, Abbe D. Lowell, working with them for several months. But Mr. Trump is famously frugal about hiring personal lawyers, and it is unclear whether he or his adult sons are prepared for how much assistance they will require. Both Mr. Kushner and Ms. Trump were advised by White House lawyers of the risks of joining the West Wing as formal advisers two years ago, since it would open them up to official lines of inquiry, among other issues. 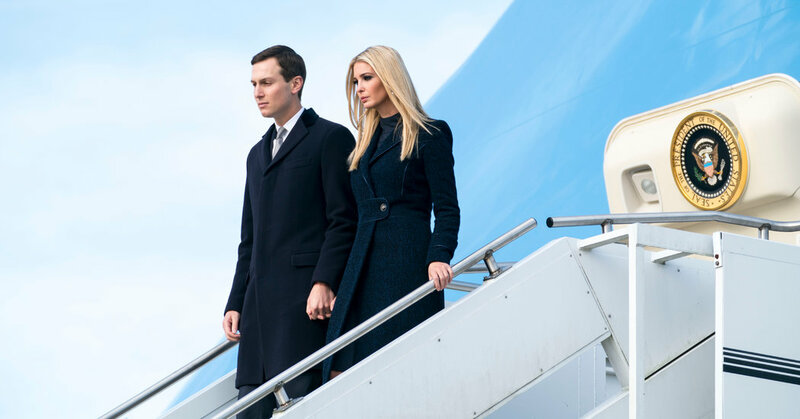 On the other hand, people close to them noted that they might be shielded by executive privilege in some instances, whereas the president’s adult sons, who do not serve in the administration, are not.